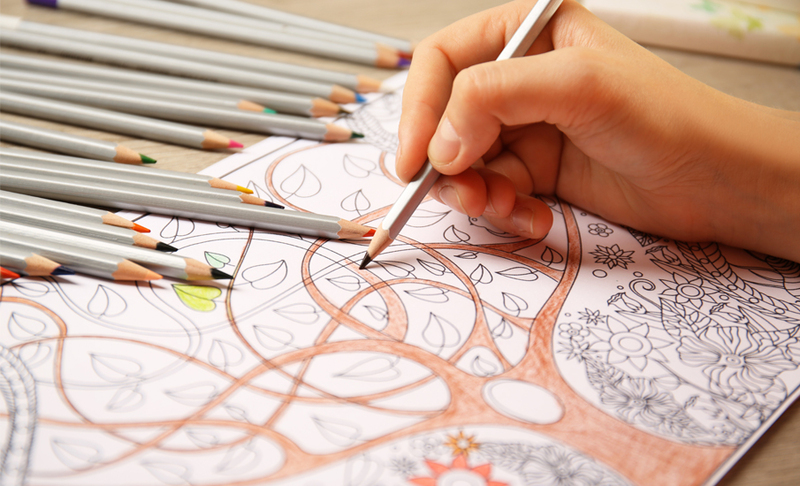 Coloring books aren’t just for children anymore—new options abound for adults, encouraging all members of the family to reap the benefits of this creative pastime. The family that plays together stays together, and the family that colors together stays together, too—especially now with a plethora of coloring books available for kids and grown-ups alike. Numerous adult coloring books have appeared on store shelves in recent years, making the activity as much of a pastime for mom and dad as it always has been for kids. The numbers are overwhelming: Data released in January 2016 from Nielsen BookScan, which covers approximately 85 percent of the general retail sales for physical books in the United States, shows sales surged to 12 million copies of adult coloring books in 2015, up from 1 million in 2014. Adults who partake often find the experience comparable to meditation, while for children the beloved playtime ritual offers a creative outlet, as well as the potential to improve fine motor skills and handwriting. For writer Donna Hull, this flow is exactly why she got into creating adult coloring books. Hull is a travel writer by trade, but has authored two coloring books and has more on the way. She says she began coloring as a way to relax before bedtime in the hopes that her quality of sleep would improve. When it worked, she was hooked. Compared with those created for children, adult coloring books typically feature more intricate imagery; subjects can range from those similar to kids’ versions, like fairy tales, to wanderlust-inspiring landscapes. There is something to meet nearly every interest. “Alice’s Adventures in Wonderland: A Colouring Book” by Lewis Carroll is a popular option, featuring black-line illustrations by Sir John Tenniel that were taken from the original “Alice’s Adventures in Wonderland” and “Through the Looking-Glass.” The book also adds decoration and imagery from modern interpretations of these two classics. The book fits in perfectly with the Alice in Wonderland theme of Sea Island’s Christmas celebration at the Beach Club this year. For those seeking a coloring book with a more realistic theme, “Coloring the West” by Hull, with help from designer Carey Ruhl, offers 35 pages recreated from actual photos, some of which were taken by the author of popular destinations in the American West. The book includes scenic landscapes, historical buildings and wildlife close-ups. 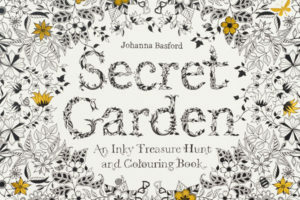 In addition to the detailed illustrations, some coloring books offer additional entertaining elements, such as “Secret Garden” by Johanna Basford. It includes a “Where’s Waldo”-like feature that encourages you to find characters and treasures hidden on each page. But whether you’re coloring an illustration of a famous national park or filling in your favorite Disney character, the hobby offers benefits for all. So gather the family, grab some refreshments and get started on a coloring book. Not only will you produce some beautiful pictures, you’ll create great family memories, too.